For the home gardener, having a prime place to plant their flowers and other vegetation is an important initial step if they want to be successful in their efforts. 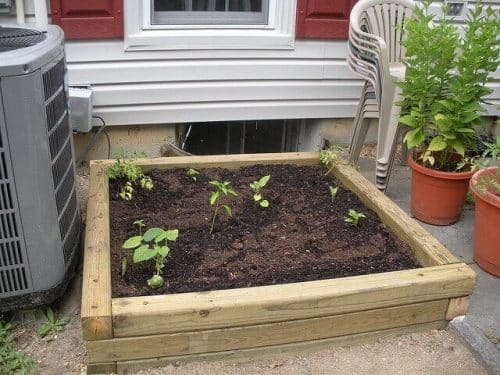 Instead of buying a prefabricated planter box, make your own with this simple guide, allowing you to create a customize box that will fit perfectly in your garden area. to ensure all side are even. 2. Using the nails, hammer 3 to 4 nails into the end pieces to connect the wood together to form a box. Make sure they are securely nailed in. 3. With the trowel, form an outline in the ground so that the box can rest snuggling into the ground. 4. Fill the planter box first with a weed barrier and lay the potting soil in until the box is full. Now that all the hard work is done, it is time to head back to the store and piece you’re your favorite plants to grow in your little garden. Creating a great foundation is the first step, so getting your flowers to grow should be a breeze.